I am happy to have Dave Lent as my guest for Live Your Music this week! To listen to the show with Dave Lent, click here. Dave Lent’s career as a cameraman, producer, author, and product designer spans four decades. His clients include international networks, local stations, corporations, and independent production companies. Dave’s seven documentaries include the critically-acclaimed Life Without, Hotel Macedonia, and The 5 Keys to Mastery. He is the author of Master Minds, The Laws of Camerawork and Video Rules and is the inventor of the Steadybag, PicupStix, GelFile, and LensEnd — production accessories used by video, film, and photo professionals worldwide. 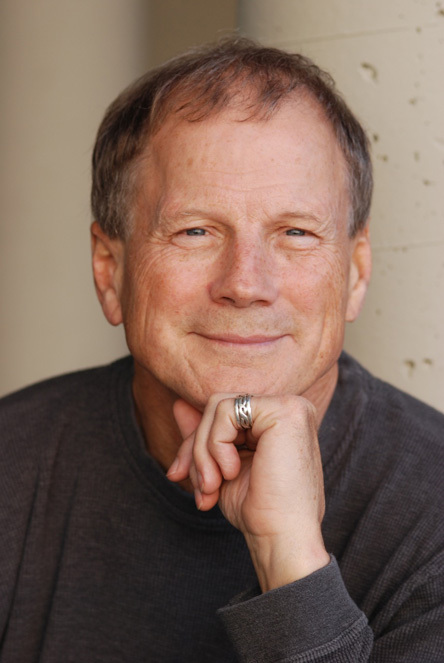 Based in Oakland, California, Dave continues to work as a news and documentary cameraman while growing a new career focused on helping people discover their calling, practice “The 5 Keys to Mastery” and earn a living doing what they love. 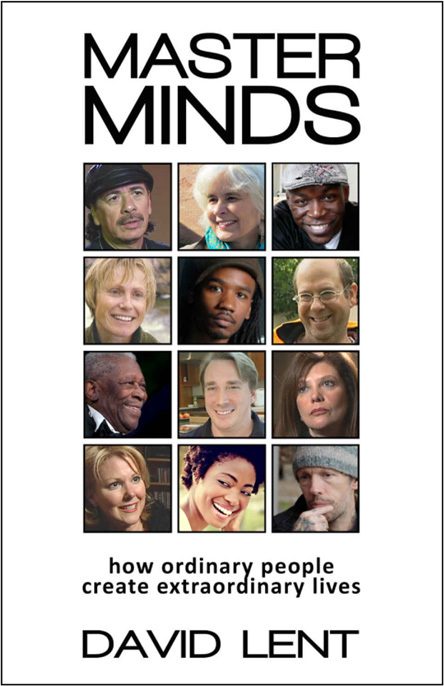 To get the soft cover book or Kindle version of Master Minds, by David Lent, on Amazon, click here. 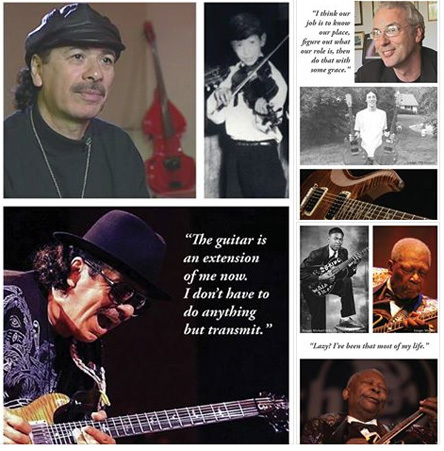 Carlos Santana, Paul Reed Smith, and BB King, in the photos above, are three of the sixteen interviews in the book. Some of the others interviewed for the book include: Stephen Tobolowsky, Kelly Clark, Wendy Rieger, Ivana Chubbuck, Etirsa South, Linus Torvalds, George Leonard, Eric Kandel, and Susan Burgess-Lent. The book Master Minds is inspiring and gives us a glimpse of what it takes to answer your calling and become a master at what you feel called to do. As we discussed during the show, doing what you feel called to do is an important aspect of feeling happy and enjoying your life. Please grab your favorite beverage, coffee, tea, or juice, and join us for an inspiring conversation about Dave Lent's book Master Minds, The 5 Keys to Mastery, and a few of the things you can learn from the masters that were interviewed for the DVD and the book. To hear the recording of the show with Dave Lent, please click here.